Rowad’s new wastewater recycling unit for small number of users. ROWAD National Plastic Company of Saudi Arabia, which has participated several times in The Big 5 in Dubai, is this year exhibiting alongside its sister company Taldeen and will be promoting acrylic and polycarbonate plastic sheets, and plastic geomembrane liners. HDPE corrugated pipes ... “good substitute for GRP and clay pipes”. Rowad, which has representation in Italy, Tunisia and Turkey, plans to open more channels of distribution in the UAE, Egypt and Australia. Building on its success, Rowad and Tasnee have plans to invest further in the plastics business as well as diversify its portfolio. “A giant complex of over 100,000 sq m has, therefore, been commissioned in Hail, Saudi Arabia, under the umbrella of Tasnee. This newly formed company called Taldeen Plastic Solutions produces various specialised plastic solutions,” he reveals. He says the production focus is primarily in four major sectors: Pipes, handling and agriculture solutions, water tanks and road barriers. Al Ajrafi says the company has plans for expansion of the production lines and is always in pursuit of the newest and latest technologies in the plastics field. 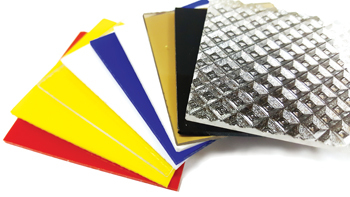 Rowad offers a choice of acrylic sheets. Turning to new products, Al Ajrafi says one of Taldeen’s latest products is a complete wastewater treatment and reuse system (wastewater recycling unit) which is designed to treat and recycle water for up to 25 people. “This may be a common product in some parts of Europe or the US, however, it’s more challenging in this part of the world. With the overall sustainability programme and greater environmental awareness in Saudi Arabia, this will be a great enabler for small industries or residential areas,” says Al Ajrafi. 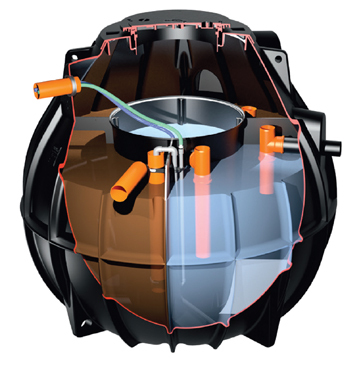 Other products introduced to the local market include robust, reliable and cost-effective solutions for drainage. 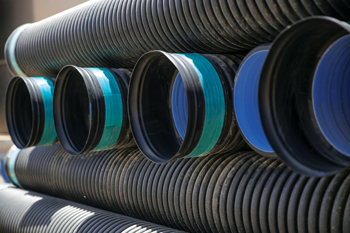 The company’s HDPE corrugated pipes are manufactured using the highest quality materials and are the best substitute for glass fibre-reinforced plastics (GRP) and clay pipes, for transporting stormwater and wastewater, he says. Results have shown that forward-thinking municipalities realise the future of storm water management lies in utilising the best technology, he adds. The use of HDPE dual-wall corrugated pipes for stormwater has increased dramatically over the past several years. This is because of their strength, durability, joint integrity, and long-term cost-effectiveness. Rowad will be exhibiting at Stand ARD201 at The Big 5.